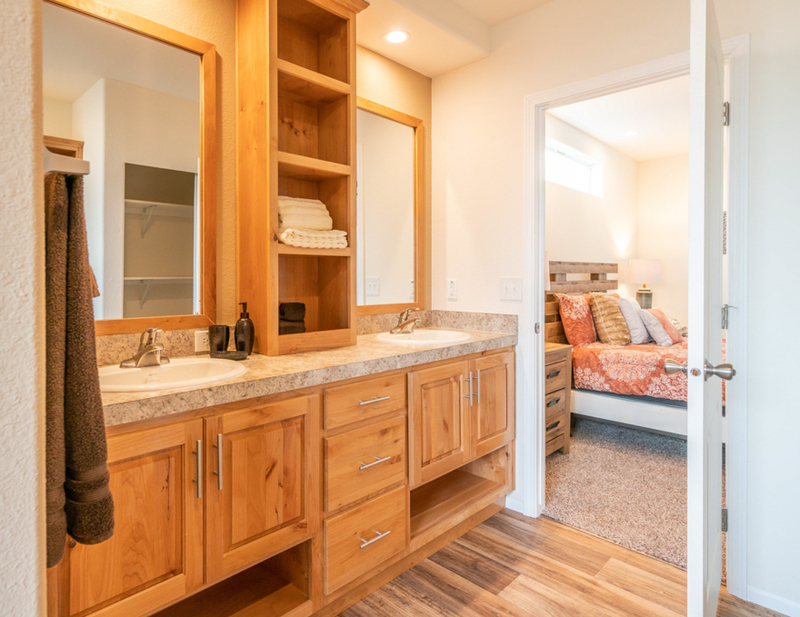 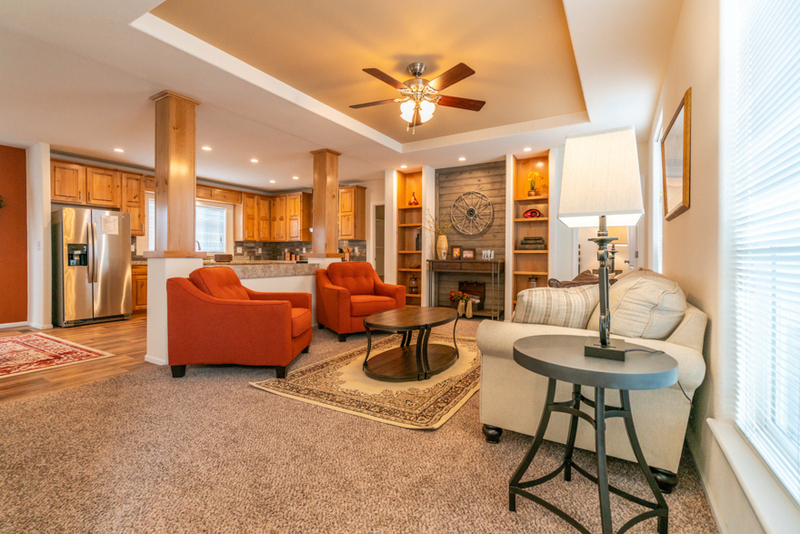 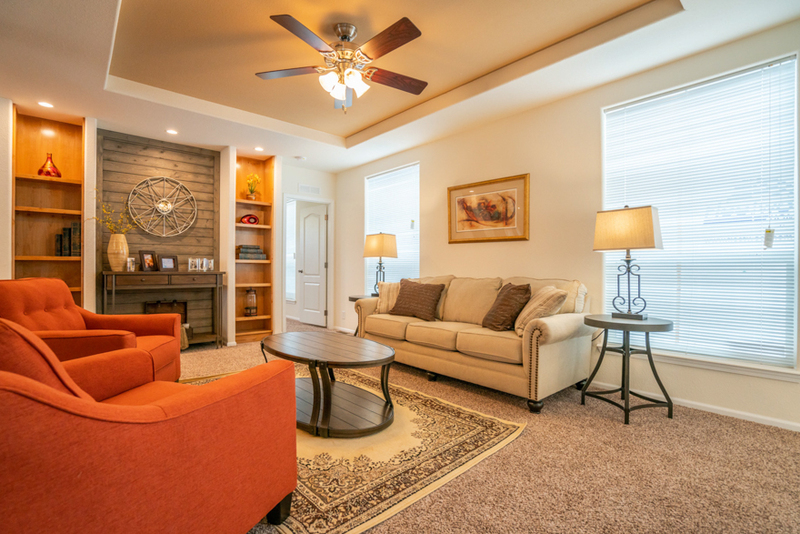 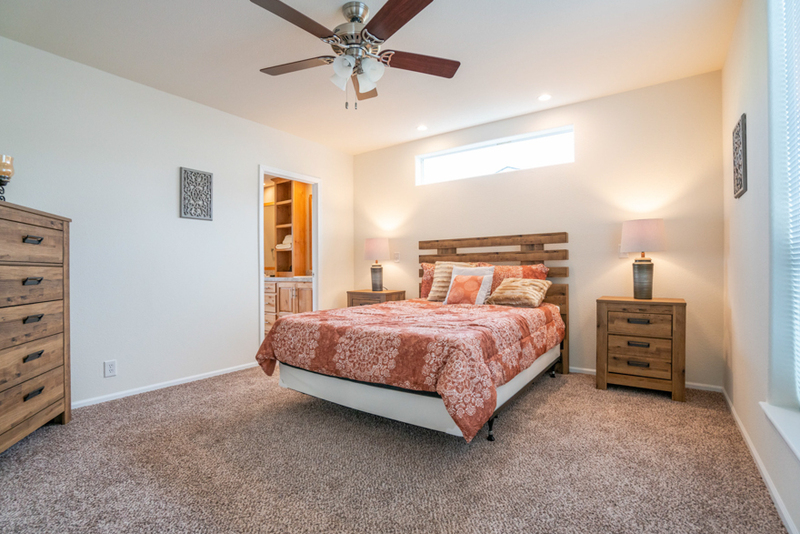 The Cascadia model has 3 Beds and 2 Baths. 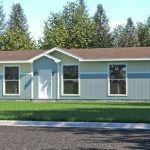 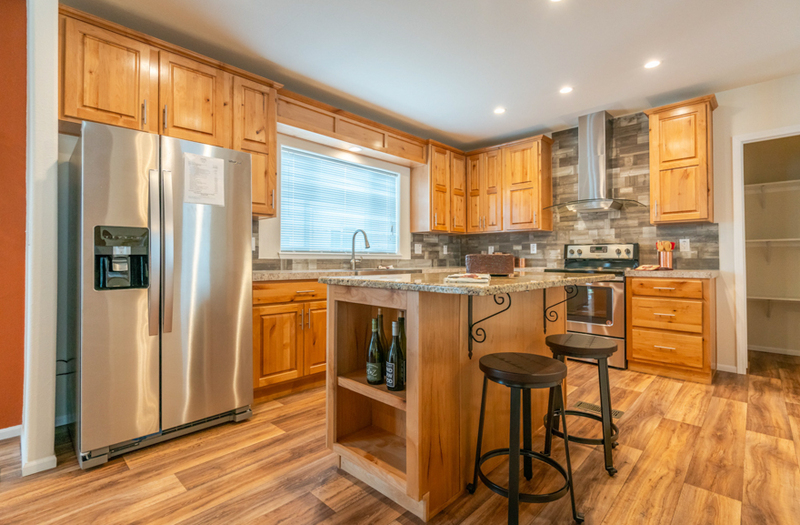 This 1759 square foot Double Wide home is available for delivery in Washington, Oregon, Idaho. 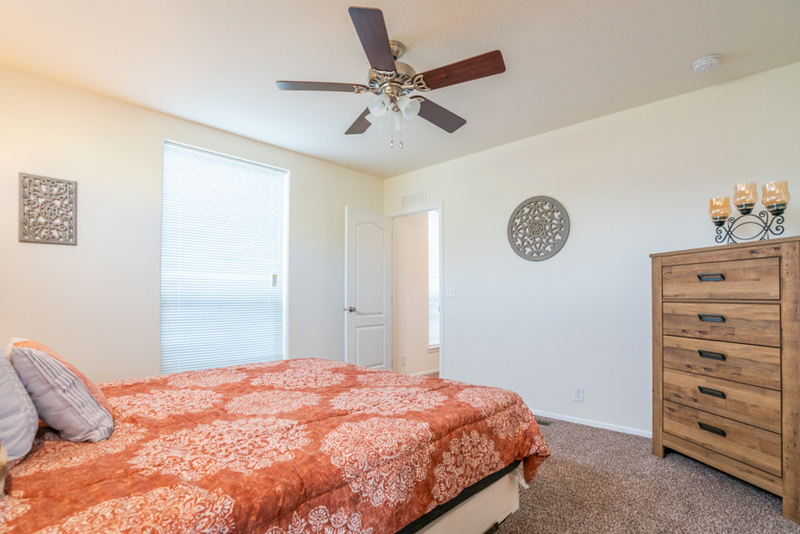 This home has standard tall windows, three exterior paint colors, and a standard dormer ove the front door. 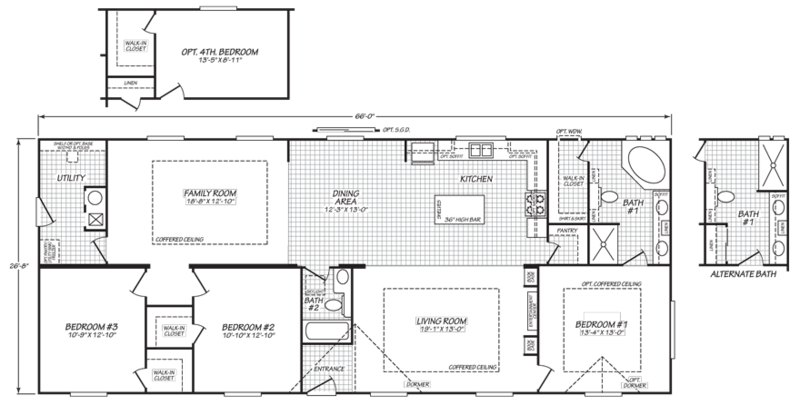 The photo is showing the optional 10′ dormer over the bedroom window and an optional craftsman front door. 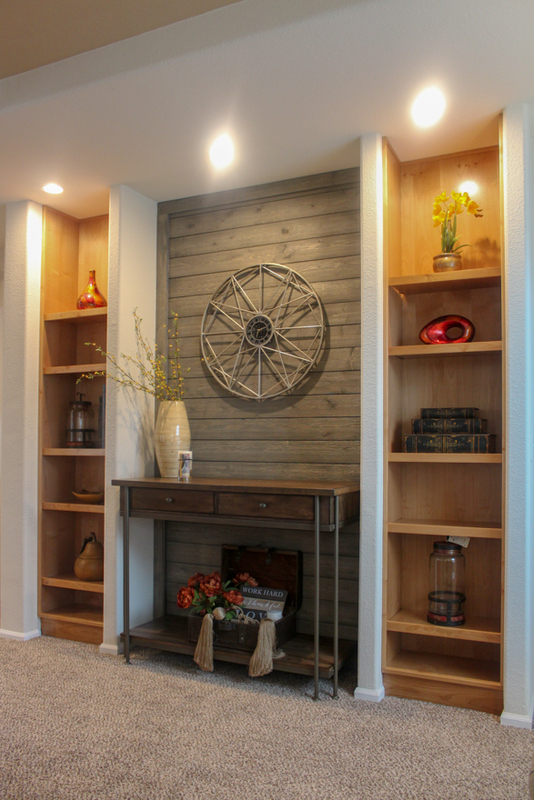 Formal living room includes standard bookcases and is showing the optional wood accent with can lights. 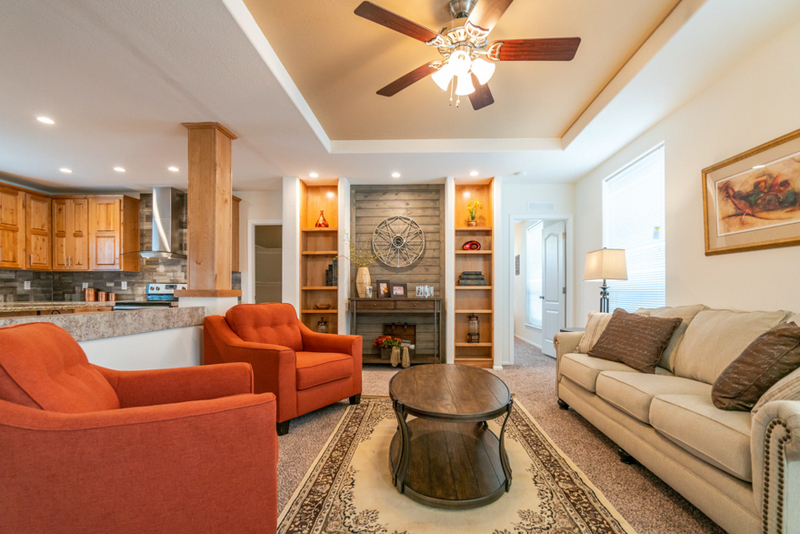 The tray ceiling is a standard feature with the standard beams being omitted. 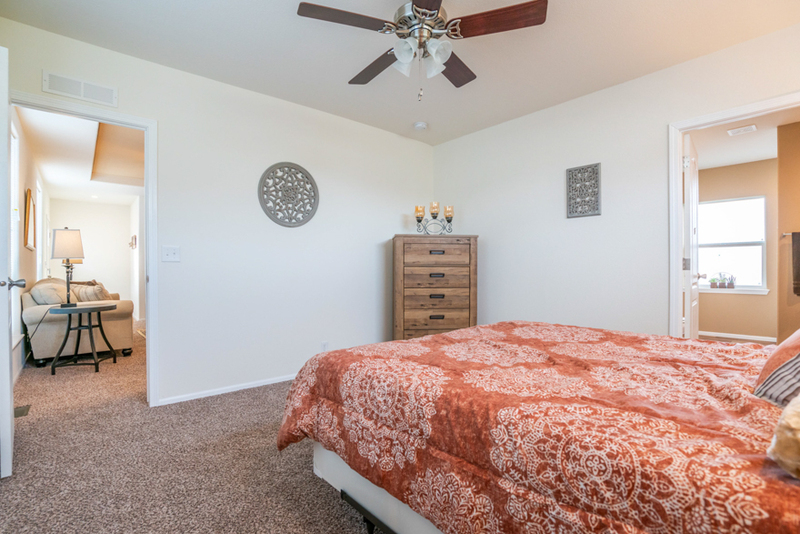 The ceiling fan is optional. 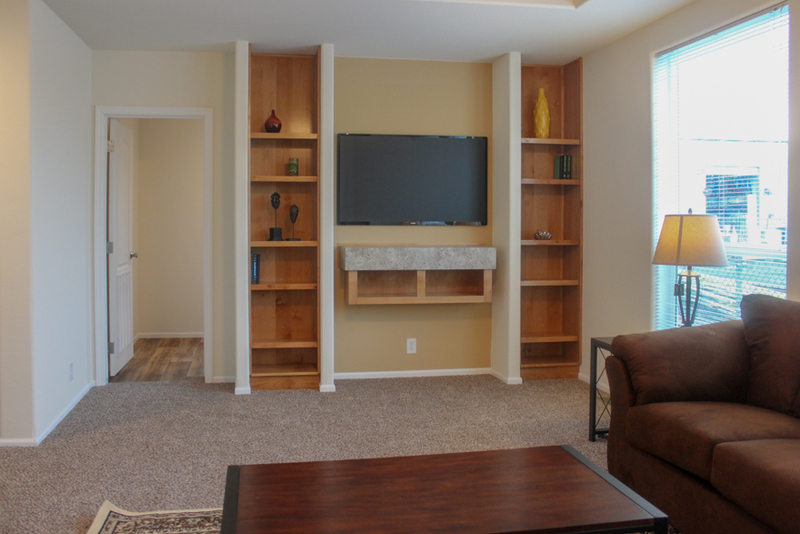 This home is standard with the bookcases and a floating entertainment cabinet for a television between the bookcases. 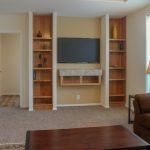 In this order the wood accent has replaced the floating entertainment cabient and the entertainment center was added to the family room. 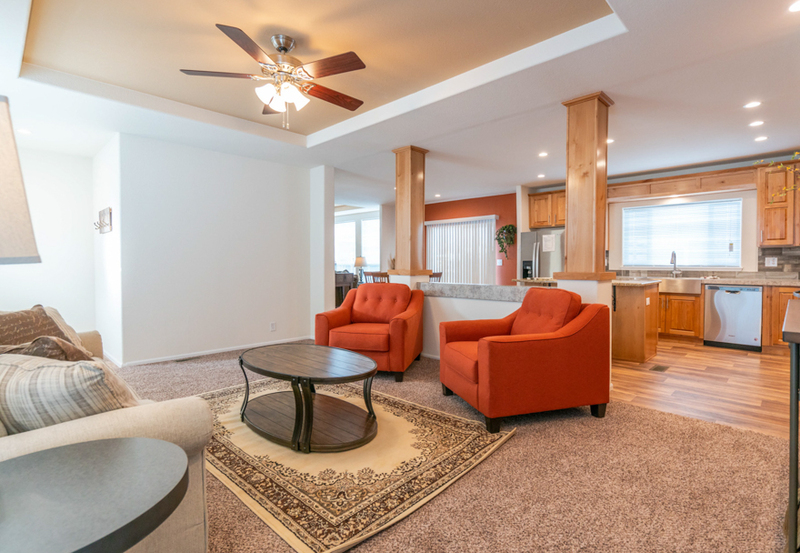 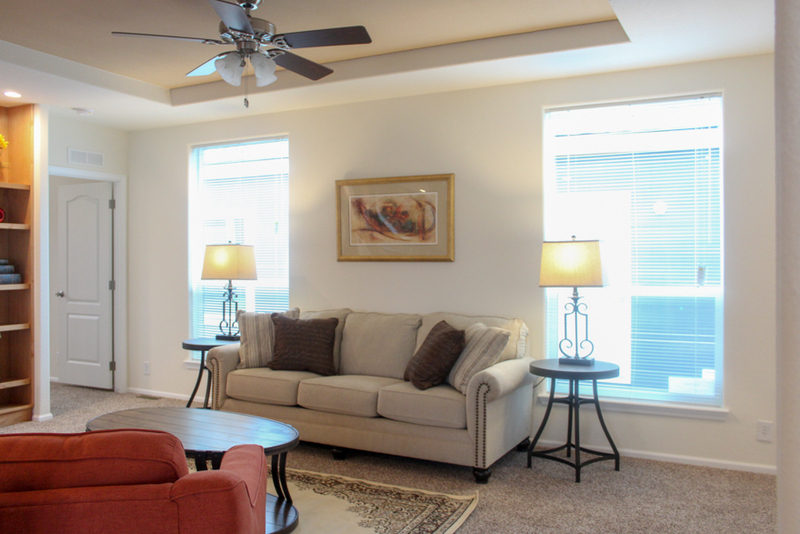 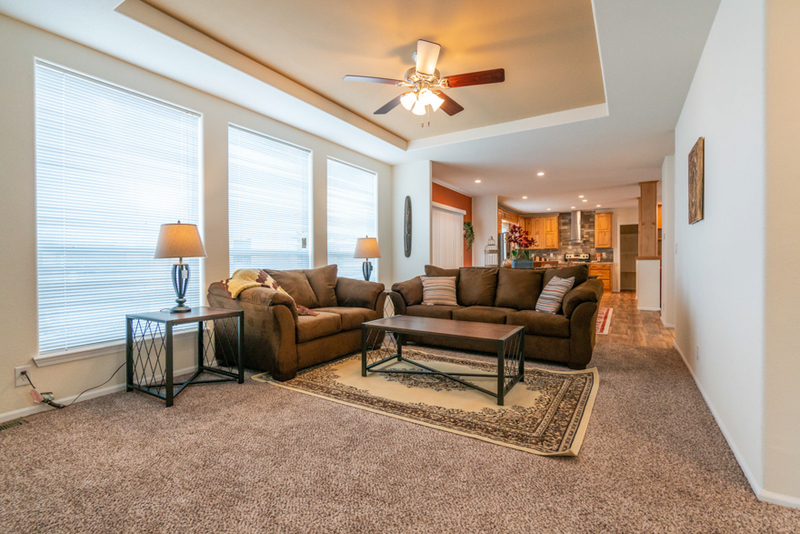 This home has high flat ceilings with tall windows throughout the home. 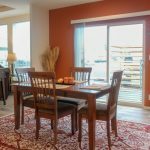 Mini blinds are standard on the windows. 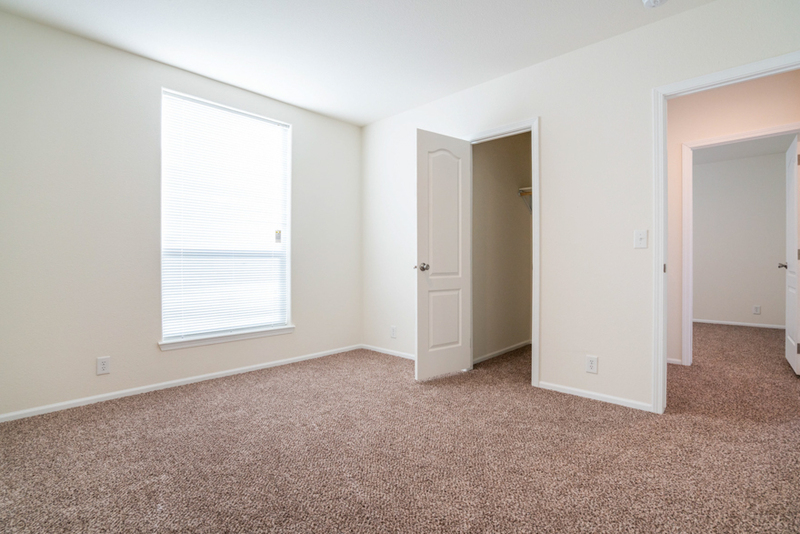 The carpet has been upgraded to level #2. 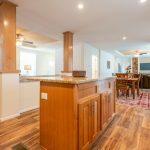 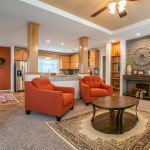 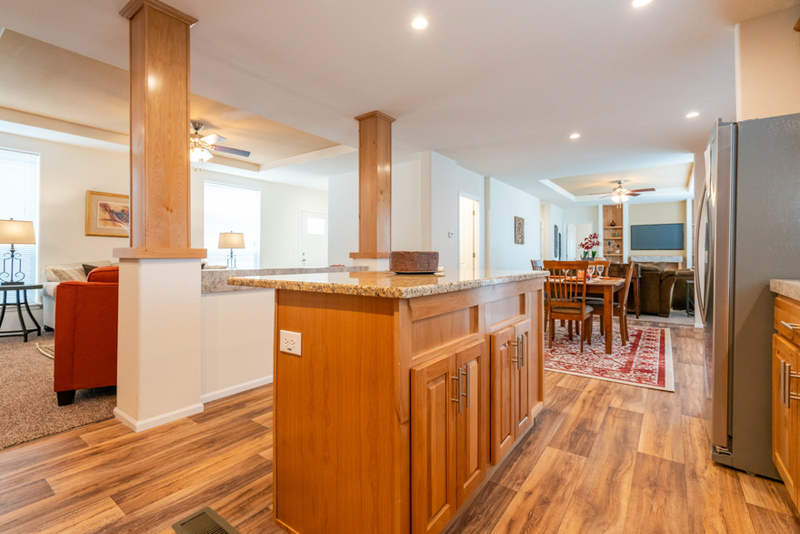 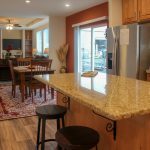 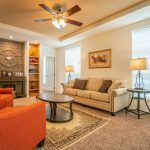 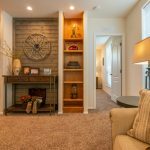 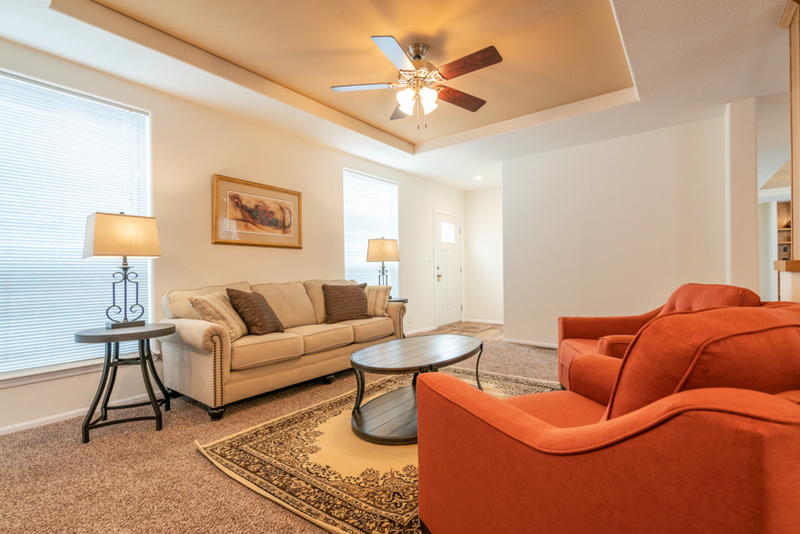 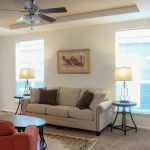 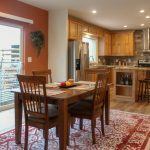 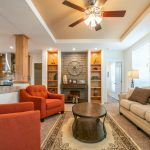 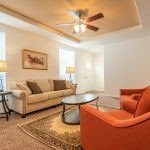 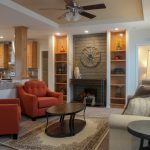 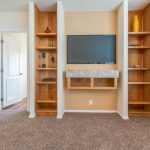 The kitchen and dining room are also open to the family room, which is featuring an optional entertainment center with book cases. 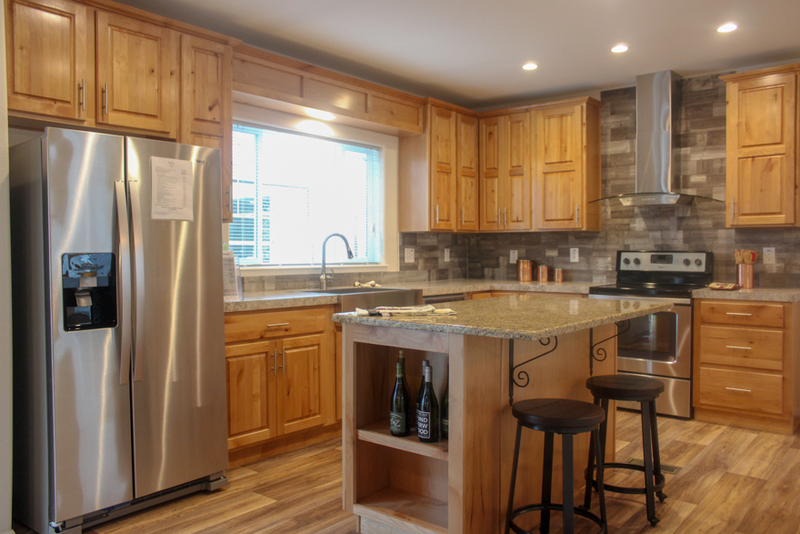 Kitchen showing the upgrade stainless steel appliance package, upgrade knotty alder cabinets, and an upgrade granite countertop on the island. 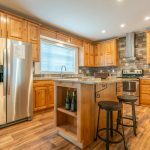 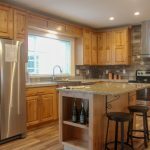 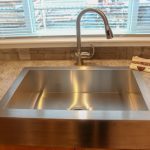 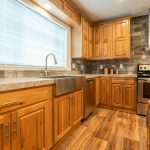 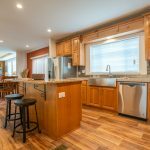 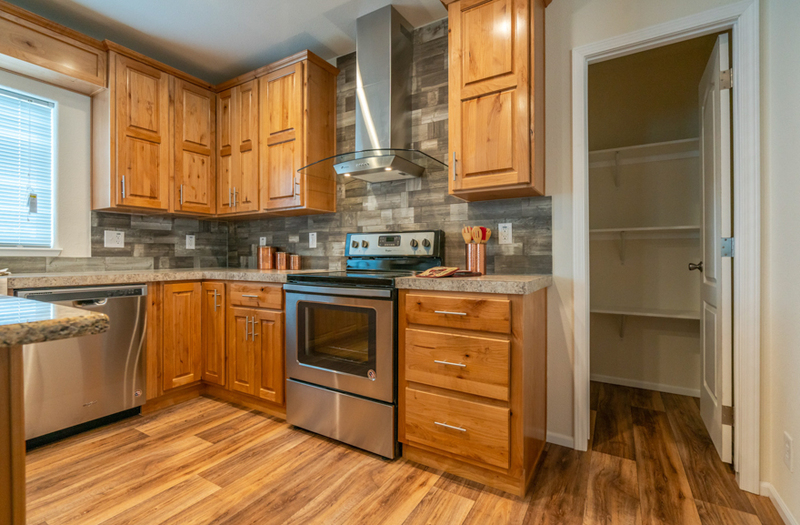 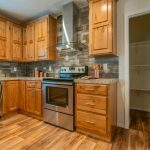 The kitchen includes the standard large window, stainless steel single bowl sink, pull out faucet, and full tile backsplash. 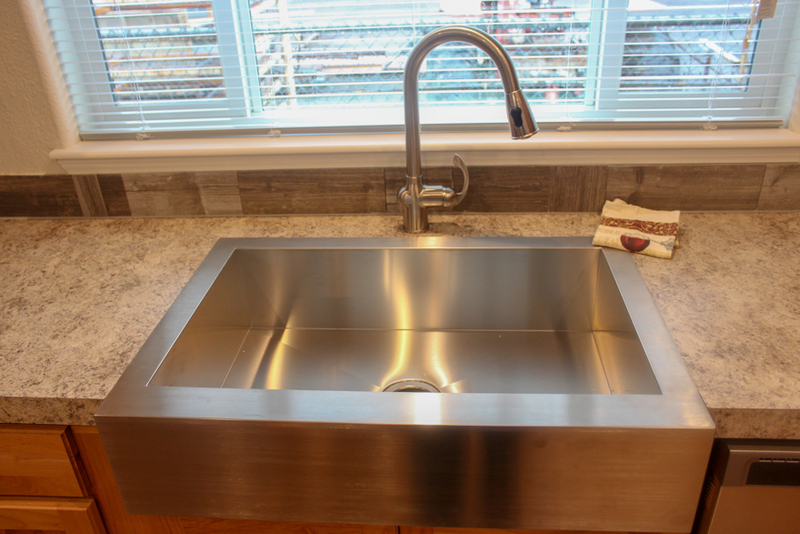 The Wingate Series includes a standard stainless steel deep single bowl sink with a pull out facuet with sprayer. 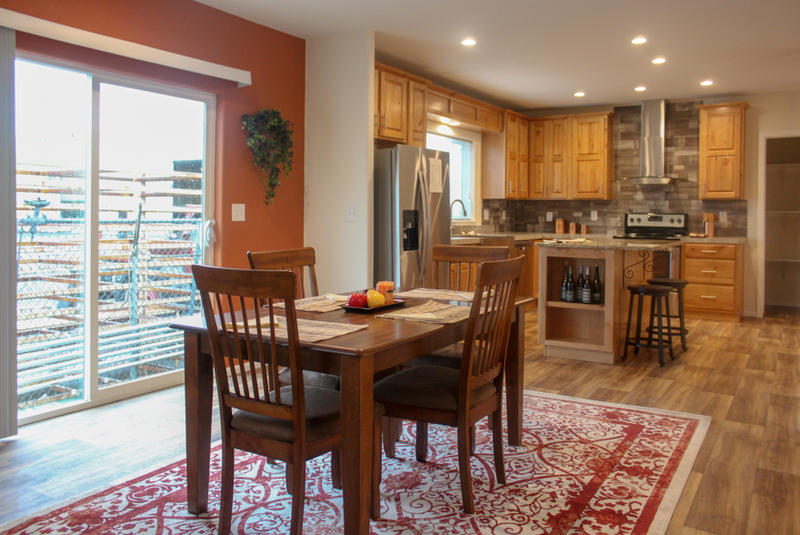 The dining room is open to the kitchen. 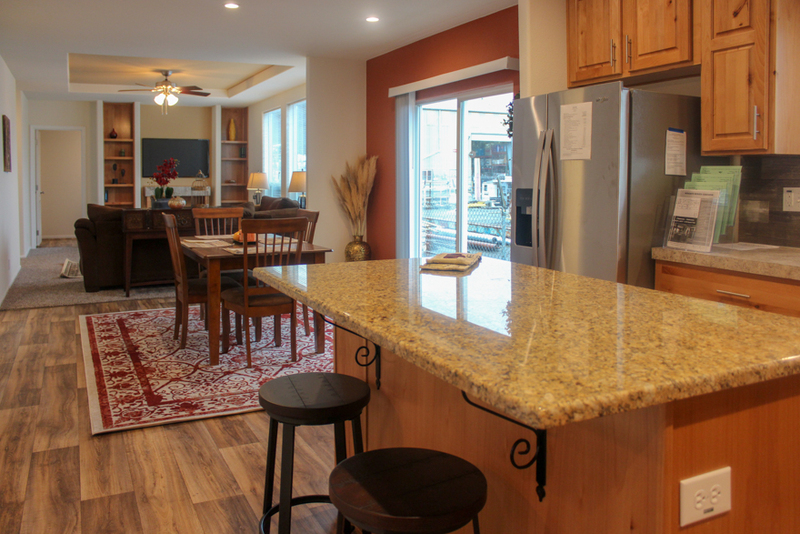 The kitchen and dining room come with standard recessed LED can lights. 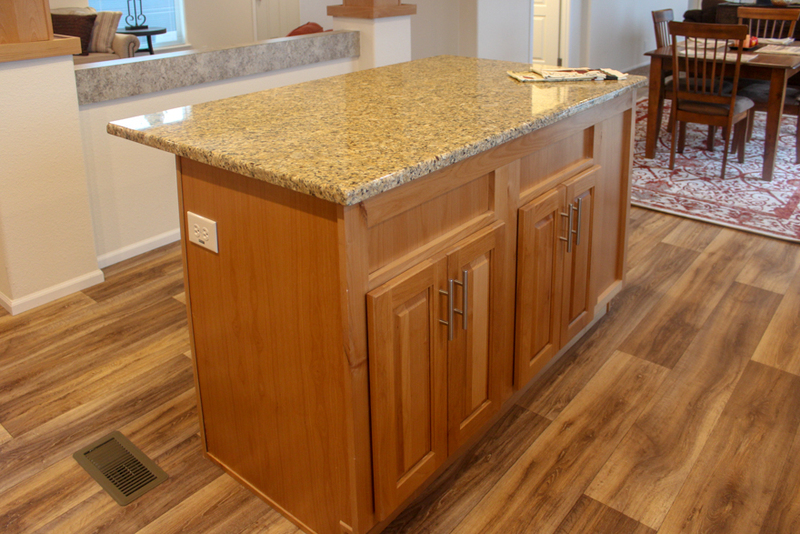 The kitchen island adds more storage and coutertop space. 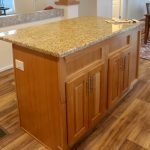 The countertop has been upgrades to granite. 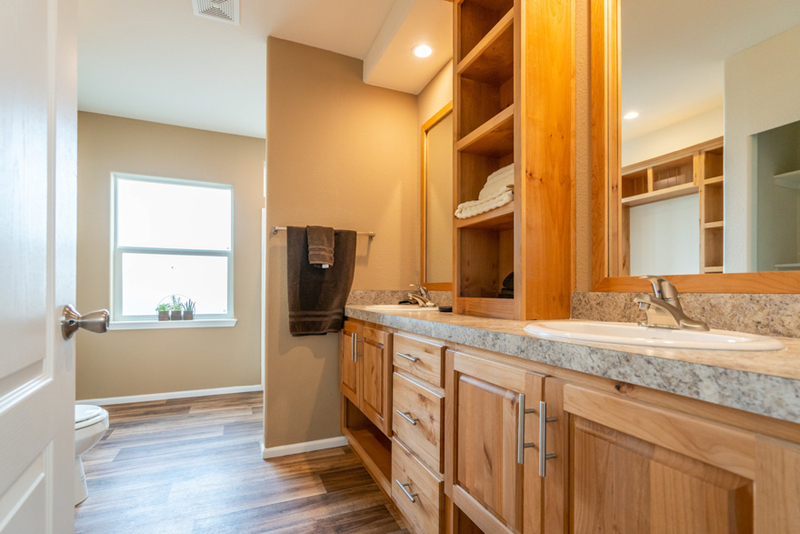 The floor color is Lime Oak. 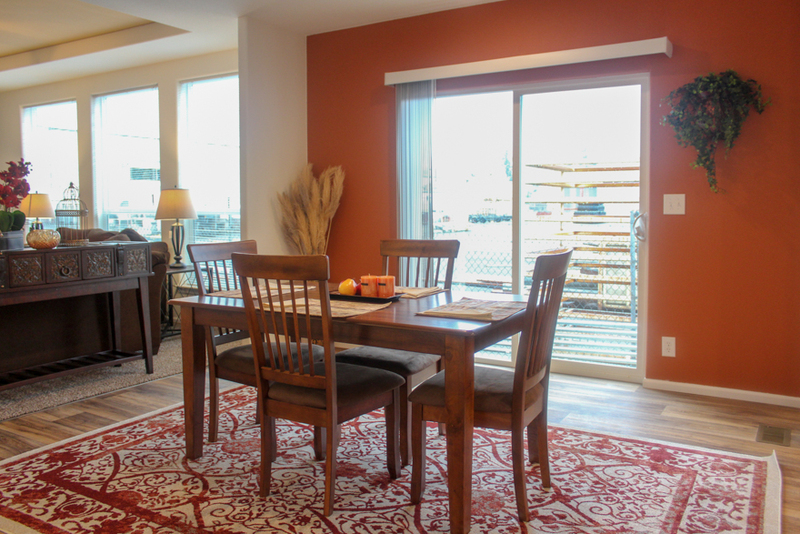 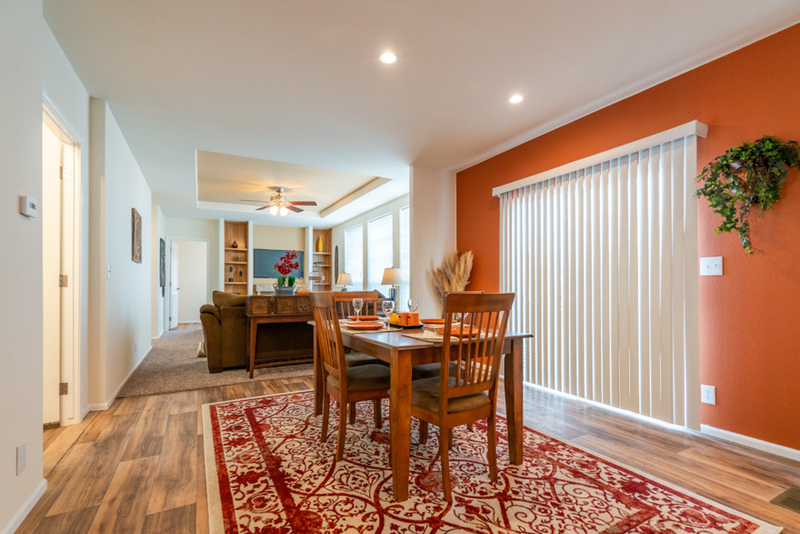 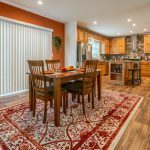 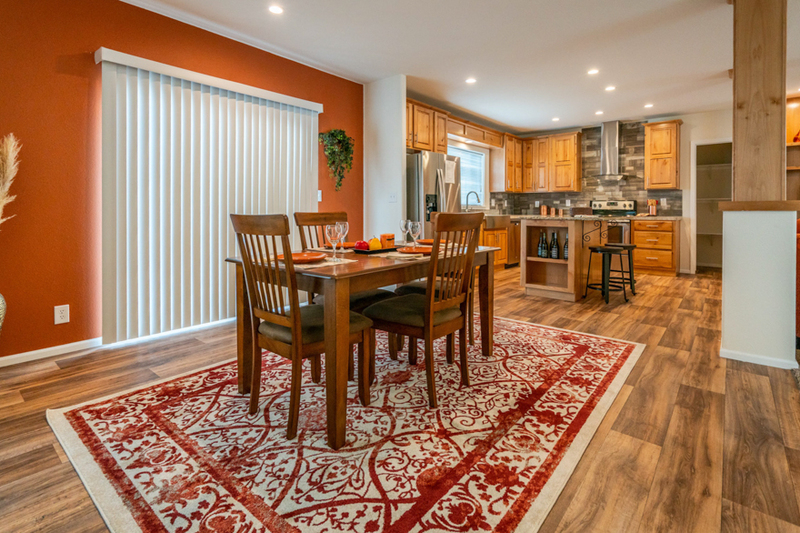 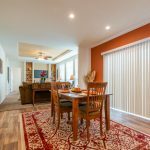 The dining room in this home is a very large size and a bigger table would fit comfortably. 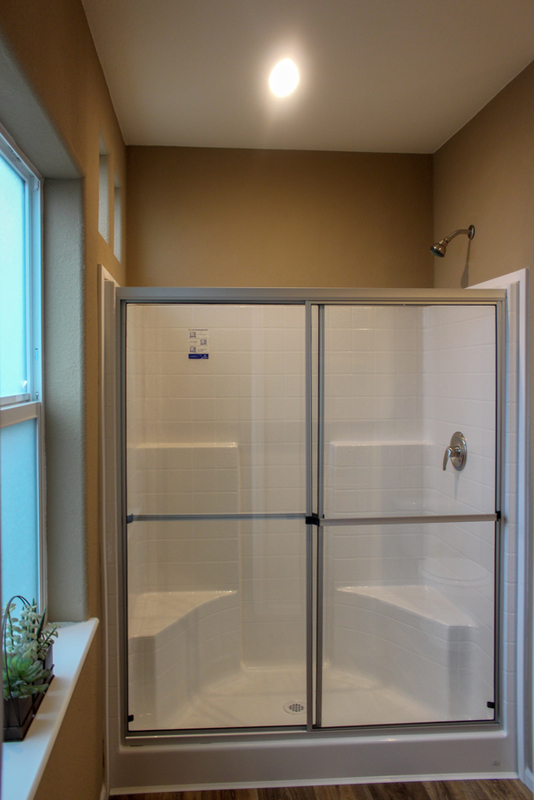 The sliding glass door is optional. 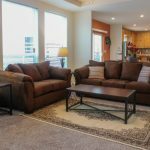 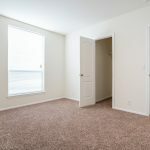 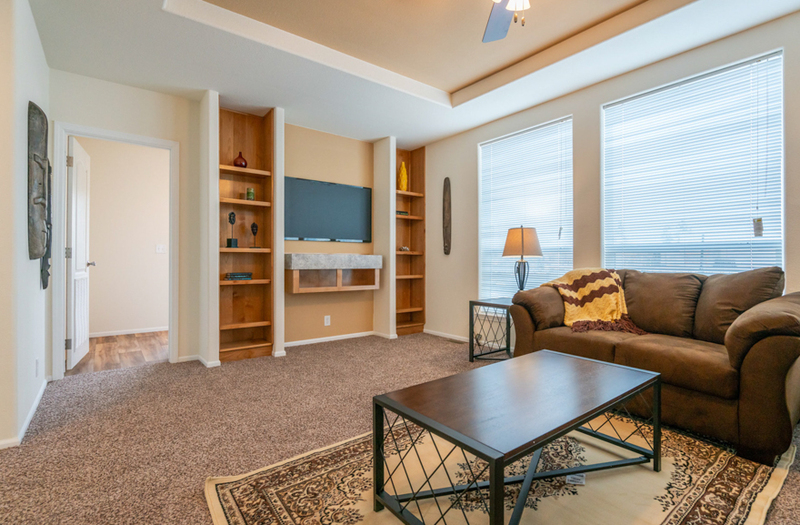 Family room is showing optional 3rd window. 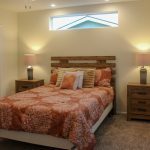 This home was ordered with tape and textured wrapped windows throughout. 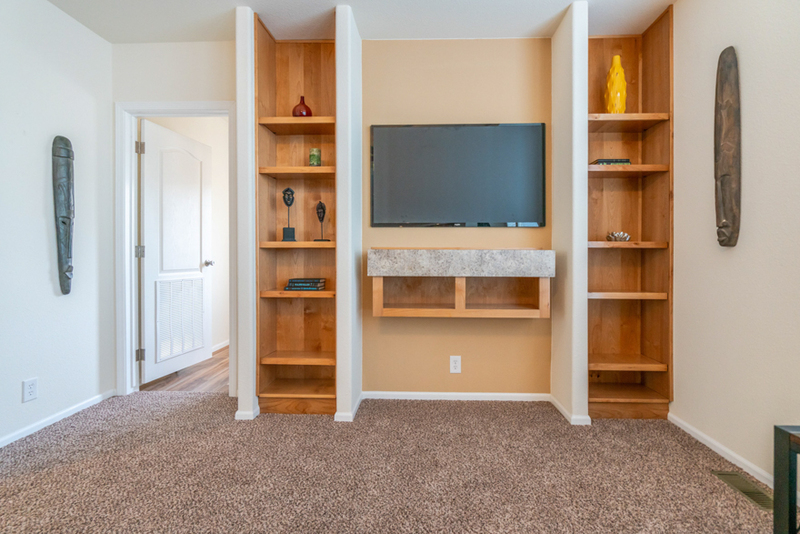 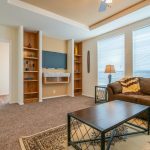 The bookcases and floating entertainment center is on option for this home. 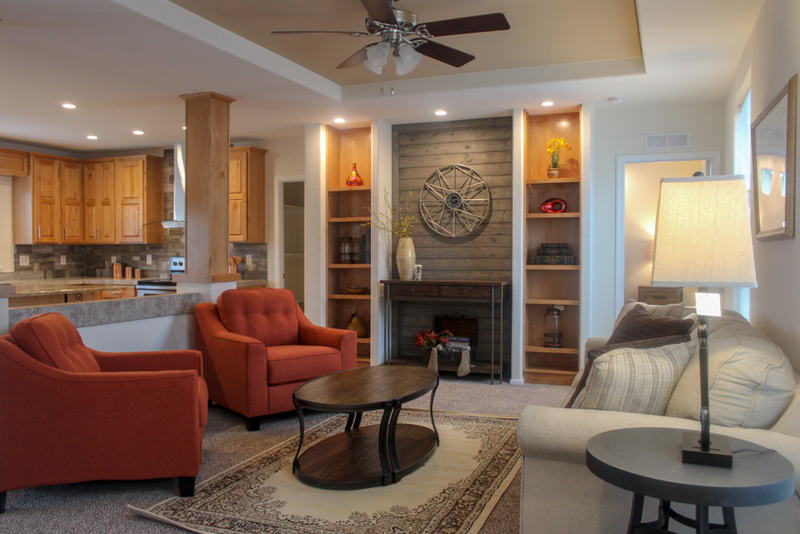 This is what would be standard in the living room had we not added the wood accent area. 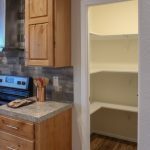 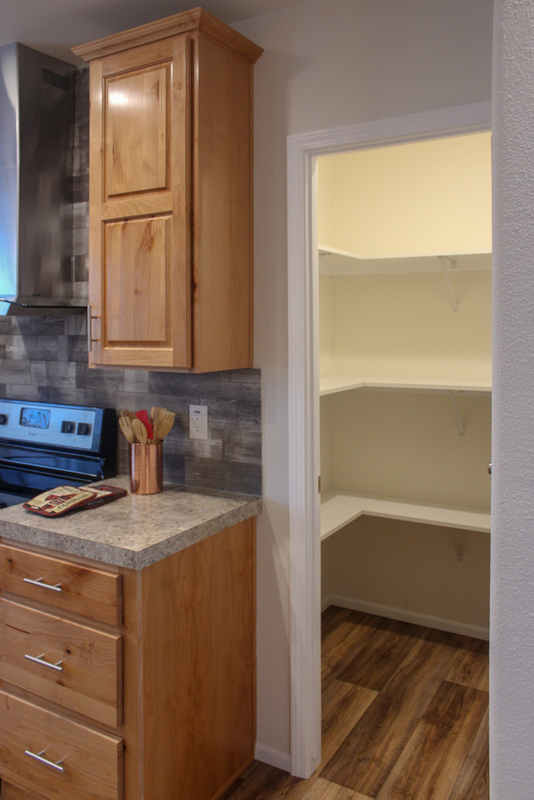 The kitchen includes a standard pantry. 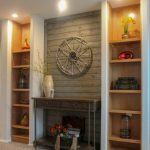 The wood shelves are an upgrade to the standard wire shelves. 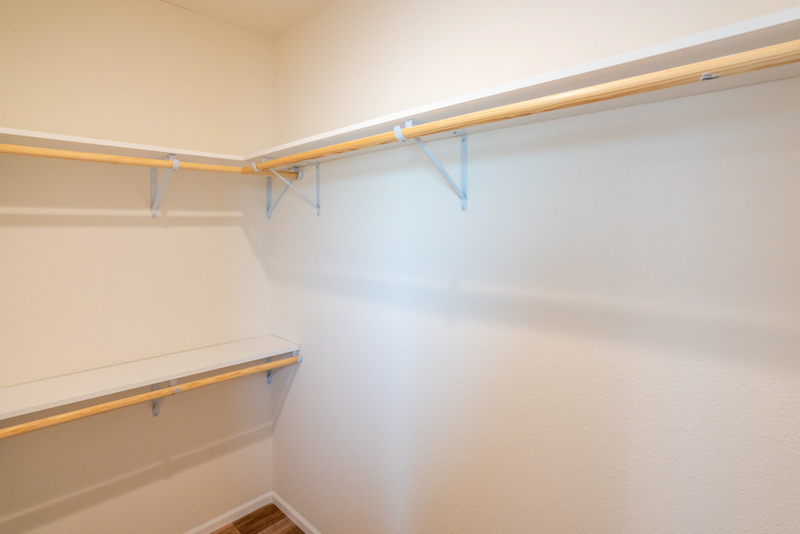 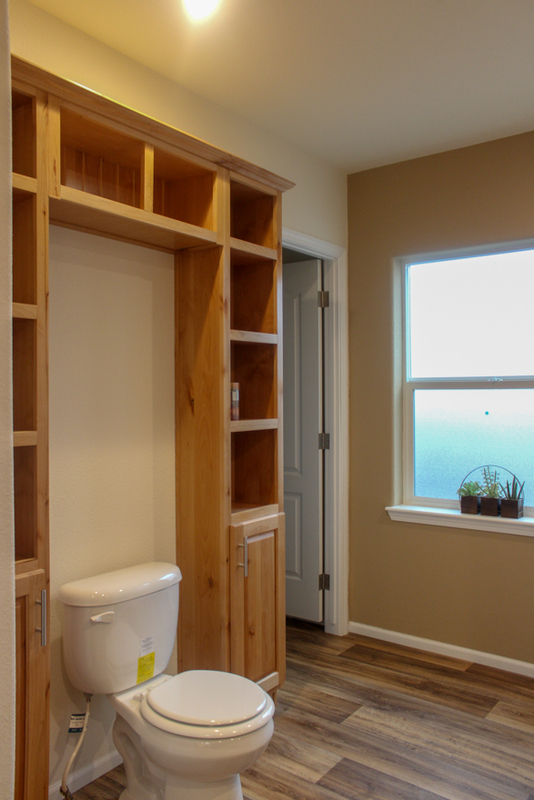 This linen closet is part of the alternate bathroom configuration. 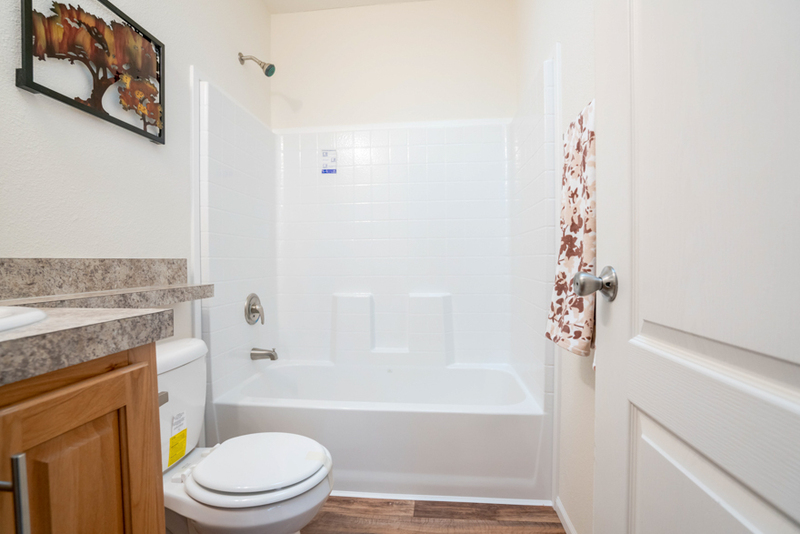 Normally a 4′ shower is here with a corner tub in the corner of the room. 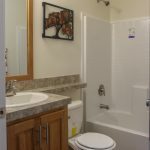 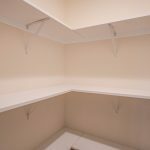 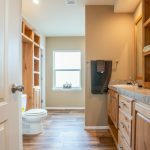 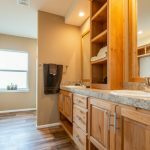 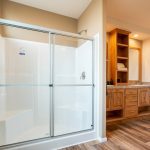 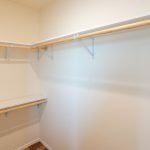 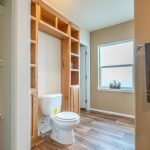 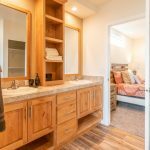 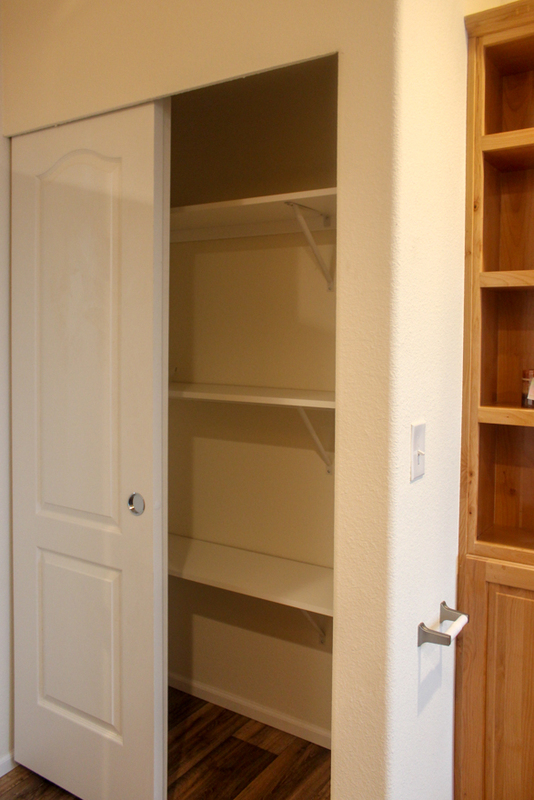 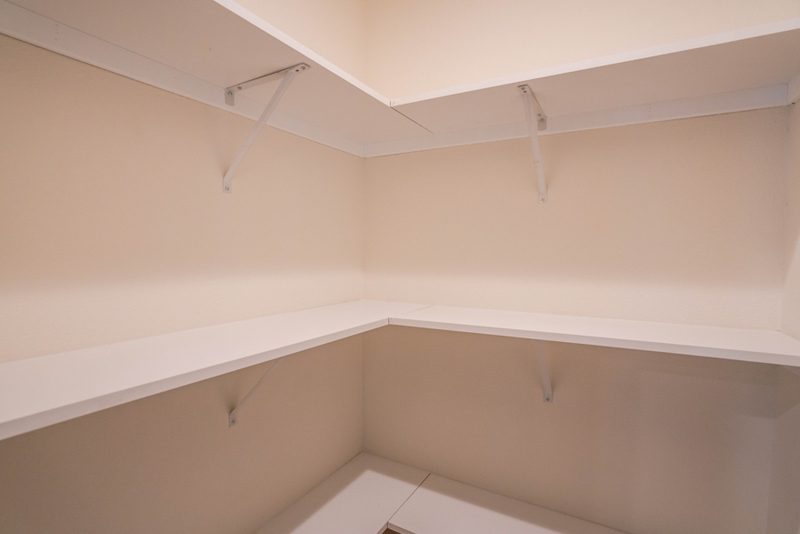 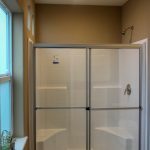 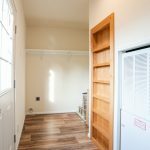 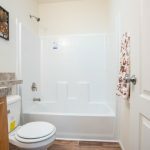 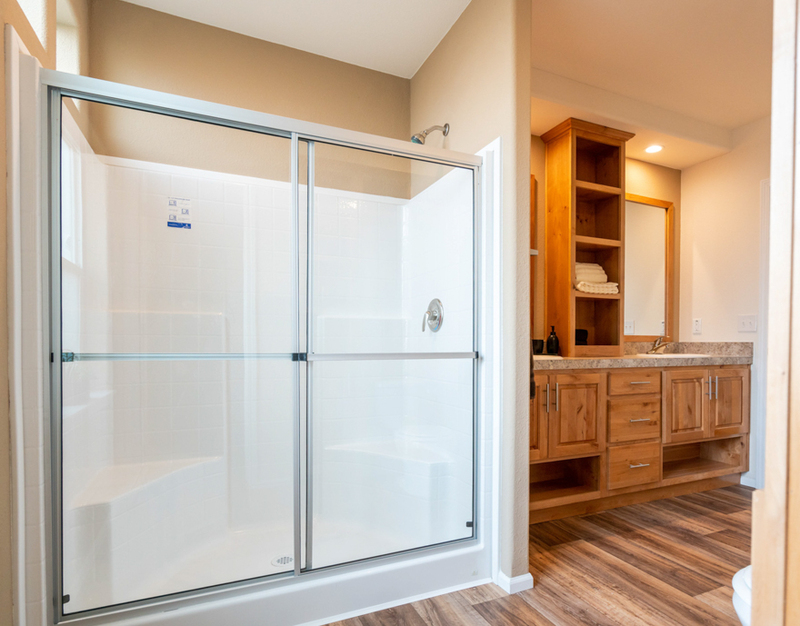 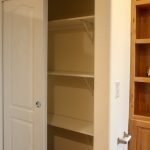 Master bathroom has standard storage cabinets around and above the toilet. 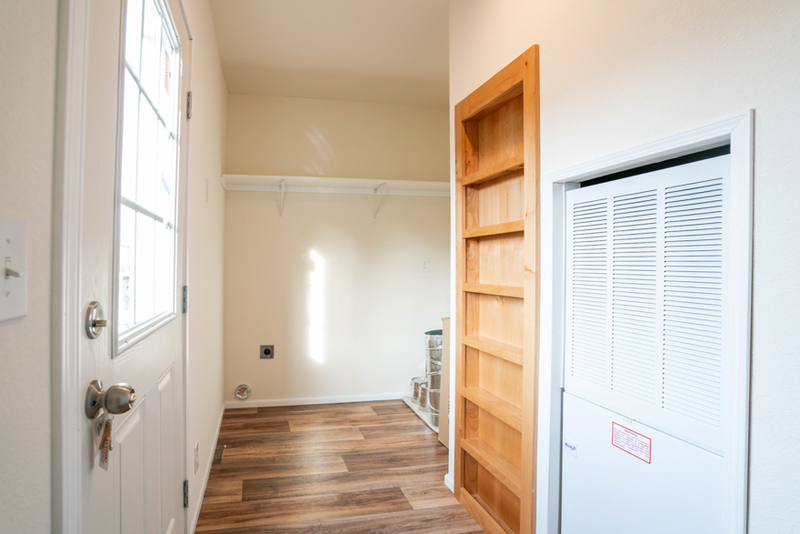 The bedroom walk in closet is located in this room. 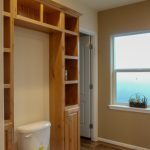 The obscure window is an option. 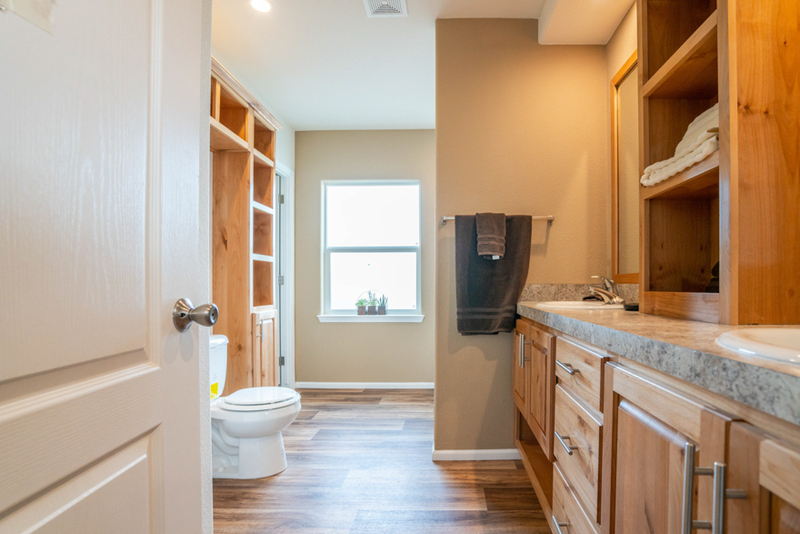 Master bathrom is showing the alternate bathroom configuration, where there is a 5′ shower in place of the standard corner tub. 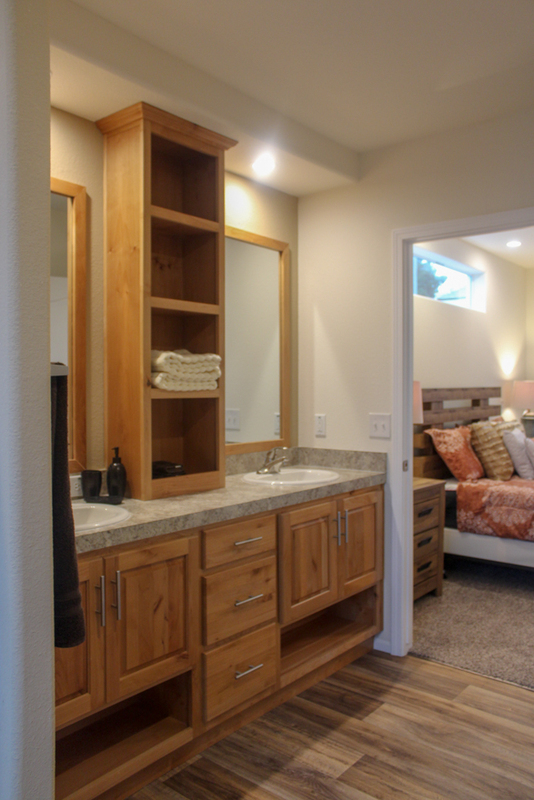 Master bathroom includes standard two sinks with drawer bank, linen cabinet, china sinks, and single lever faucets. 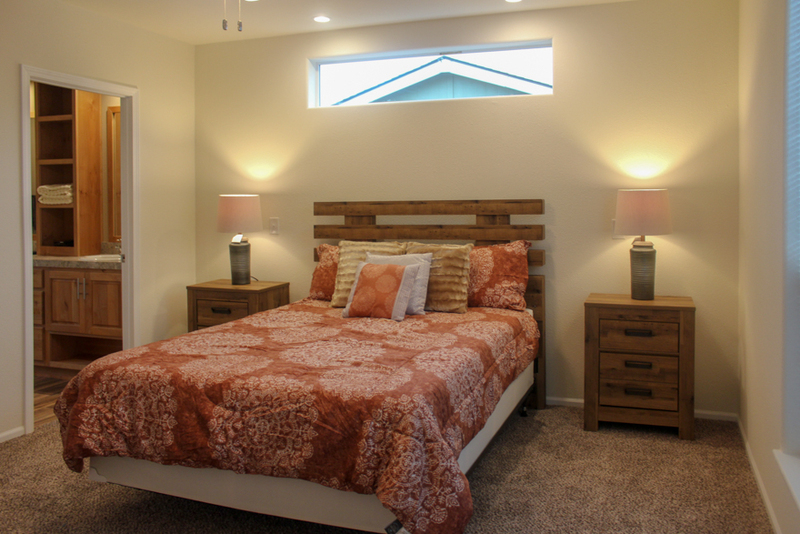 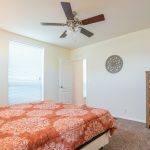 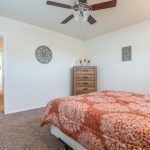 Master bedroom is a large size with a standard loft window and recessed lights. 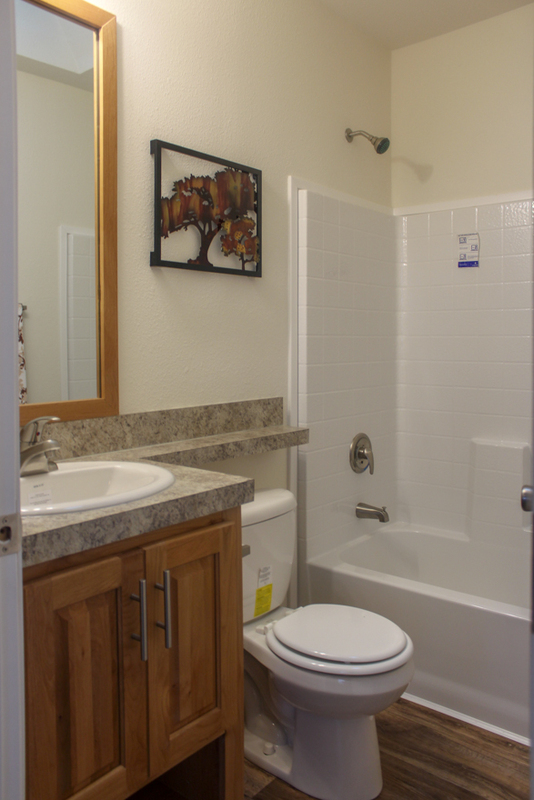 Guest Bathroom has a standard 1-piece tub/shower, china sink, and single lever faucet. 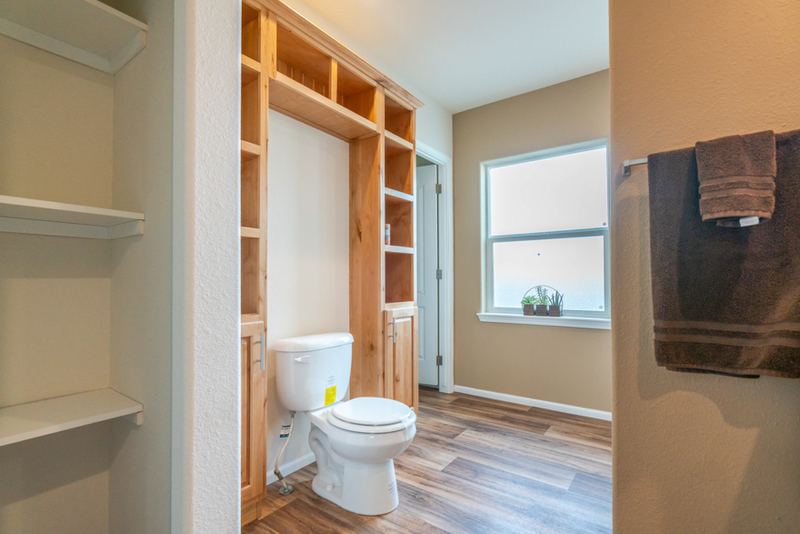 Not showing is the standard skylight in this bathroom. 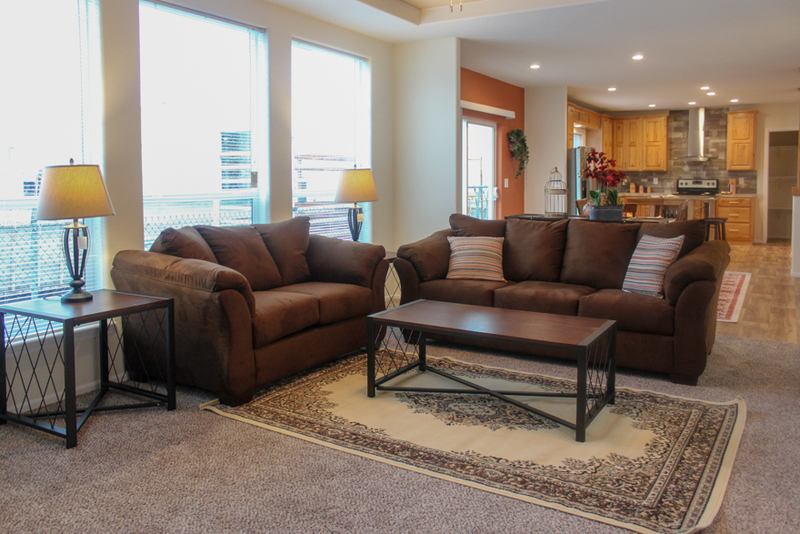 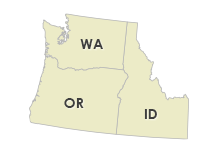 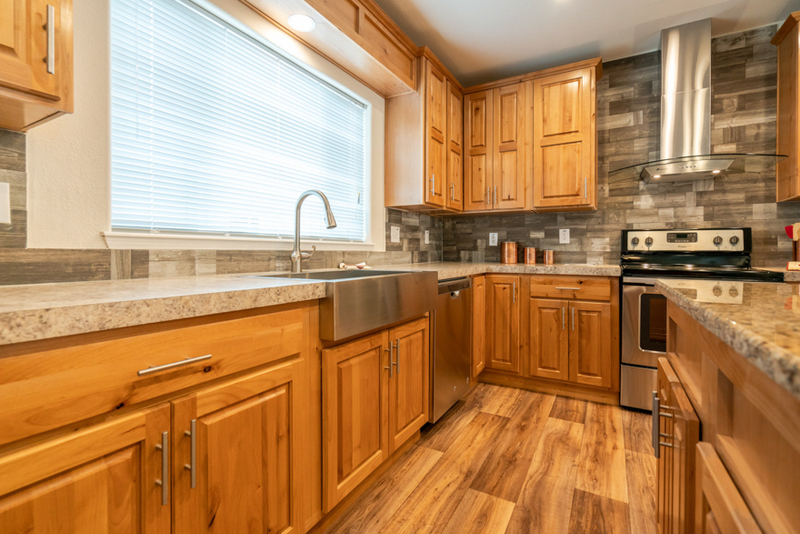 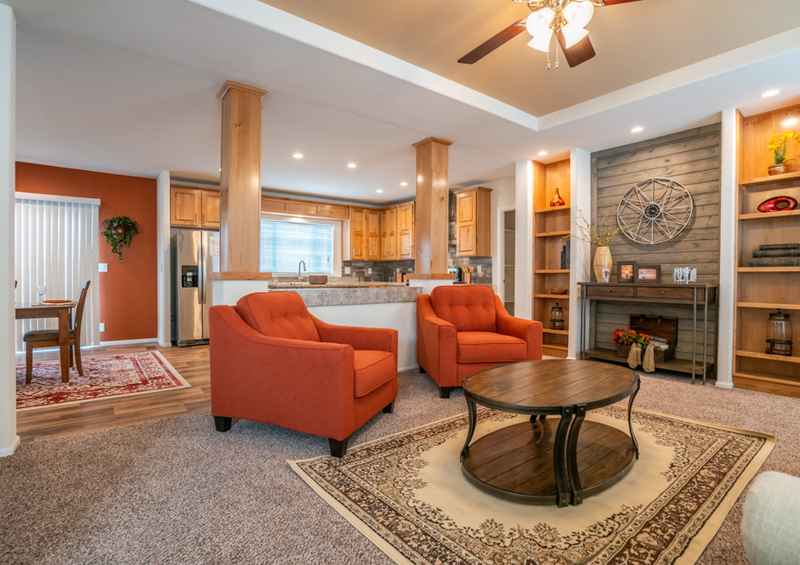 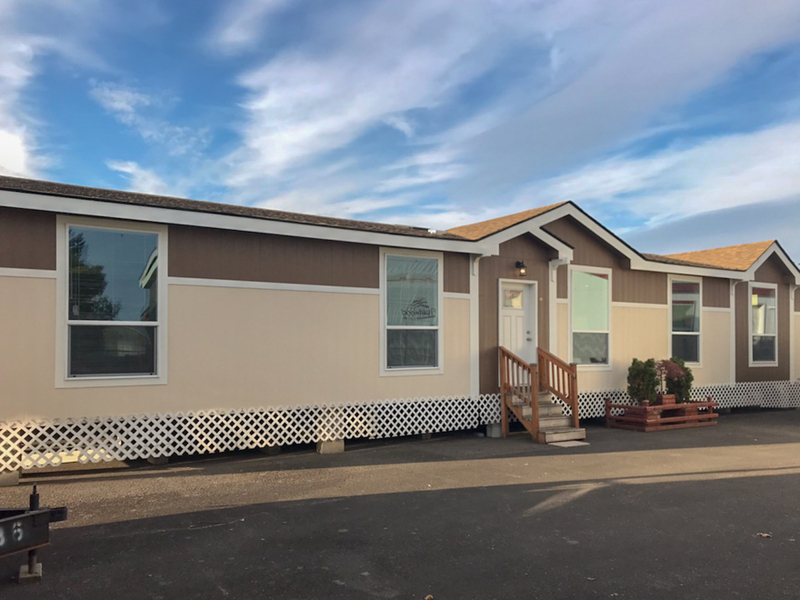 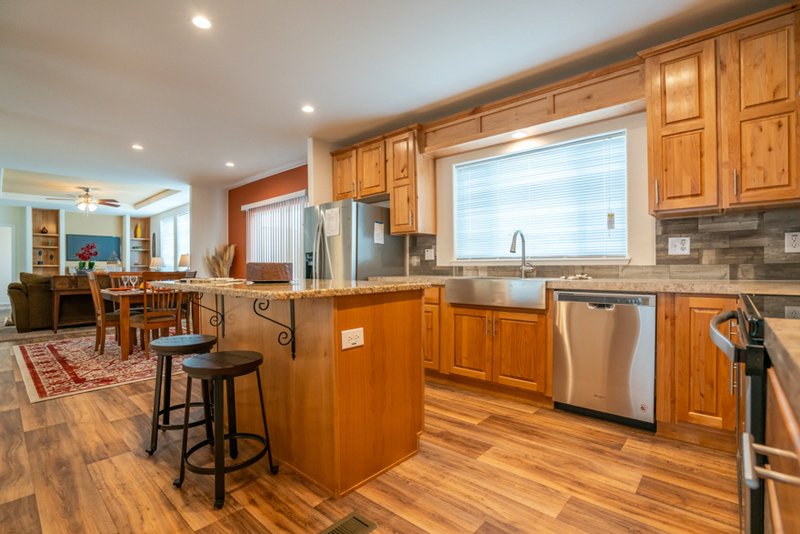 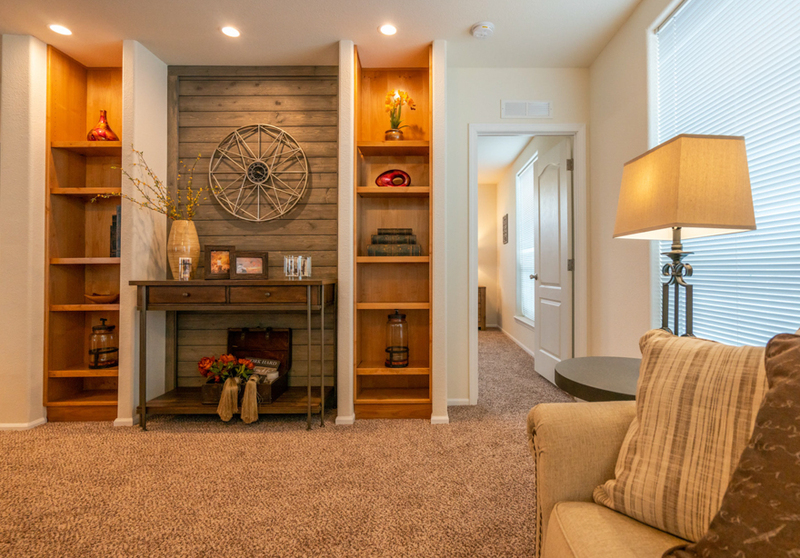 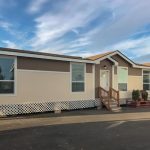 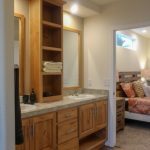 Ask your housing consultant about the other great features that come standard on the Cascadia manufactured home.